William D. "Bill" Stewart (1941 – June 20, 1979) was an American journalist with ABC News who was summarily murdered by Nicaraguan government National Guard ("Guardia") forces while reporting on the Nicaraguan Revolution as Sandinista rebel forces were closing in on the capital city of Managua in 1979. Footage of his execution was repeatedly broadcast on network television, resulting in an uproar against the Somoza regime in the United States. 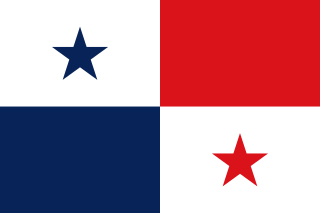 Nicaragua, officially the Republic of Nicaragua, is the largest country in the Central American isthmus, bordered by Honduras to the northwest, the Caribbean to the east, Costa Rica to the south, and the Pacific Ocean to the southwest. Managua is the country's capital and largest city and is also the third-largest city in Central America, behind Tegucigalpa and Guatemala City. The multi-ethnic population of six million includes people of indigenous, European, African, and Asian heritage. The main language is Spanish. Indigenous tribes on the Mosquito Coast speak their own languages and English. Alpha Tau Omega (ΑΤΩ), commonly known as ATO, is an American social fraternity founded at the Virginia Military Institute in 1865. The fraternity has around 250 active and inactive chapters and colonies in the United States and has initiated more than 250,000 members. VMI Cadets are no longer associated with the fraternity. In 1885, the VMI Board of Visitors ruled that cadets could no longer join fraternities based on the belief that allegiance to a fraternal group undermined the cohesiveness of and loyalty to the Corps of Cadets. WCCO-TV, virtual channel 4, is a CBS owned-and-operated television station, licensed to Minneapolis, Minnesota, United States and serving the Twin Cities television market. The station is owned by the CBS Television Stations subsidiary of CBS Corporation. WCCO-TV's studios are located on South 11th Street along Nicollet Mall in downtown Minneapolis, and its transmitter is located at the Telefarm complex in Shoreview, Minnesota. The Big Three television networks are the three major traditional commercial broadcast television networks in the United States: the American Broadcasting Company (ABC), CBS and the National Broadcasting Company (NBC). Until the 80's, the Big Three networks dominated U.S. television. 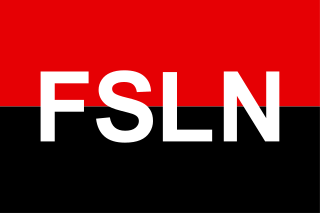 The Sandinista National Liberation Front is a socialist political party in Nicaragua. Benjamin Ernest "Ben" Linder, was an American engineer. While working on a small hydroelectric dam in rural northern Nicaragua Linder was killed by the Contras, a loose confederation of rebel groups funded by the U.S. government. Coming at a time when U.S. support for the Contras was already highly controversial, Linder's death made front-page headlines around the world and further polarized opinion in the United States. Pedro Joaquín Chamorro Cardenal was a Nicaraguan journalist and publisher. He was the editor of La Prensa, the only significant opposition newspaper to the long rule of the Somoza family. He is a 1977 laureate of the Maria Moors Cabot Prize of the University of Columbia. He married Violeta Barrios de Chamorro who later went on to become President of Nicaragua (1990-1996). In 1978, he was shot to death, one of the precipitating events of the overthrow of the Somoza regime the following year. Francisco Urcuyo Maliaños was a Nicaraguan politician, who served as Vice President of Anastasio Somoza Debayle from May 1967 to May 1972. He was born in Rivas. Miguel Obando y Bravo was a Nicaraguan prelate of the Catholic Church. He was the Archbishop of Managua from 1970 to 2005. Pope John Paul II created him a cardinal in 1985. Ayax Delgado Lopez was the son of a coffee grower in northern Nicaragua, Santiago Delgado Guevara and his mother was Luz Lopez Rivera. Ayax was born in Jinotega, Nicaragua, July 14, 1941, and was murdered September 5, 1960. He had one brother, Ruy Delgado Lopez, born in Managua, Nicaragua, June 22, 1949, and five sisters. At a very young age, he became a student activist against the Somoza regime. Ayax also spent a year in Oxford. His father was a former member of the National Guard trained by the United States Marines during the Sandino period. Around the time when Anastasio Somoza García seized power of the National Guard, Ayax's father, Santiago Delgado, conspired with his brother, Edmundo Delgado, and Abelardo Cuadra, among other National Guard members, to overthrow Somoza from power. Carlos Alberto Brenes Jarquín was the President of Nicaragua from 9 June 1936 to 1 January 1937. He was a member of the Nationalist Liberal Party. Brenes was the president of the lower chamber of National Congress of Nicaragua in 1933. He was installed as president by national guard commander Anastasio Somoza Garcia following a military coup on 9 June 1936, and remained in office until Somoza became president on January 1, 1937. Rigoberto López Pérez was a Nicaraguan poet, artist and composer. He assassinated Anastasio Somoza García, the longtime dictator of Nicaragua. Nora Josefina Astorga Gadea de Jenkins was a Nicaraguan guerrilla fighter in the Nicaraguan Revolution, a lawyer, politician, judge and the Nicaraguan ambassador to the United Nations from 1986 to 1988. Under Fire is a 1983 American political thriller film set during the last days of the Nicaraguan Revolution that ended the Somoza regime in 1979 Nicaragua. Directed by Roger Spottiswoode, it stars Nick Nolte, Gene Hackman and Joanna Cassidy. The musical score by Jerry Goldsmith, which featured well-known jazz guitarist Pat Metheny, was nominated for an Academy Award. The editing by Mark Conte and John Bloom was nominated for a BAFTA Award for Best Editing. The film was shot in the Mexican states of Chiapas and Oaxaca. Camilo Ortega Saavedra (1950-1978) was a Nicaraguan revolutionary and the younger brother of Nicaraguan president Daniel Ortega and former Nicaraguan Minister of Defense Humberto Ortega. ↑ Charlton, Linda (June 21, 1979). "ABC Reporter and Aide Killed By Soldier in Nicaraguan Capital; Carter Calls Killings Barbaric". The New York Times . ↑ MakiO. Columbus, OH: The Ohio State University. 1963. p. 387. ↑ Rosen, Mark; Bruton, Jim (2012). Best Seat in the House: Mark Rosen’s Sports Moments and Minnesota Memories. MVP Books. p. 71. ISBN 978-0760341322 . Retrieved June 17, 2012. 1 2 3 Wheaton, Lew (June 21, 1979). "Guardsman Held in Newsman's Death". The Dispatch . AP . Retrieved August 26, 2012. 1 2 "Soldier arrested in newsman's death". The Tuscaloosa News . AP. June 21, 1979. Retrieved August 25, 2012. ↑ "Press: A Murder in Managua". Time Magazine . July 2, 1979. ↑ "Slayer of newsman died in battle, soldier testifies". The Deseret News . AP. June 21, 1979. Retrieved September 28, 2012. 1 2 3 4 "Correspondents Decry Killing of ABC Reporter in Nicaragua". The Evening Independent . AP. June 21, 1979. Retrieved August 26, 2012. 1 2 "Nicaragua war victim forgotten but not by mom". Edmonton Journal . UPI. January 4, 1980. Retrieved September 2, 2012. ↑ Brimelow, Peter (July 7, 1979). "Self-interest demands intervention in Nicaragua to stop Marxist threat". The Financial Post . Retrieved August 30, 2012. 1 2 3 "Newsman's killer died, Nicaragua says". The Montreal Gazette . AP/UPI. June 22, 1979. Retrieved September 20, 2012. ↑ "Soldier who killed newsman said dead". Eugene Register-Guard . June 21, 1979. Retrieved September 2, 2012. 1 2 "Deaths (Obituary of Jim Cefalo)". The Washington Post . October 15, 2001. Retrieved August 30, 2012. ↑ "Bill Stewart buried". The Evening News (Newburgh). AP. June 24, 1979. Retrieved September 28, 2012. ↑ Geyer, Georgie Anne (June 21, 1984). "Central American situation changing, but the U.S. press is missing the story". The Spokesman-Review . UPI. Retrieved August 30, 2012. ↑ "Bill Stewart Statement on the Death of the ABC News Correspondent". The American Presidency Project. Retrieved September 11, 2012. ↑ "Nicaraguan War Reporter Is Killed". The Virgin Islands Daily News . AP. June 22, 1979. Retrieved September 20, 2012. 1 2 "ABC newsman honored". The Calgary Herald . UPI. March 3, 1980. Retrieved August 25, 2012. 1 2 Mannikka, Eleanor. "Under Fire: Synopsis". allmovie .